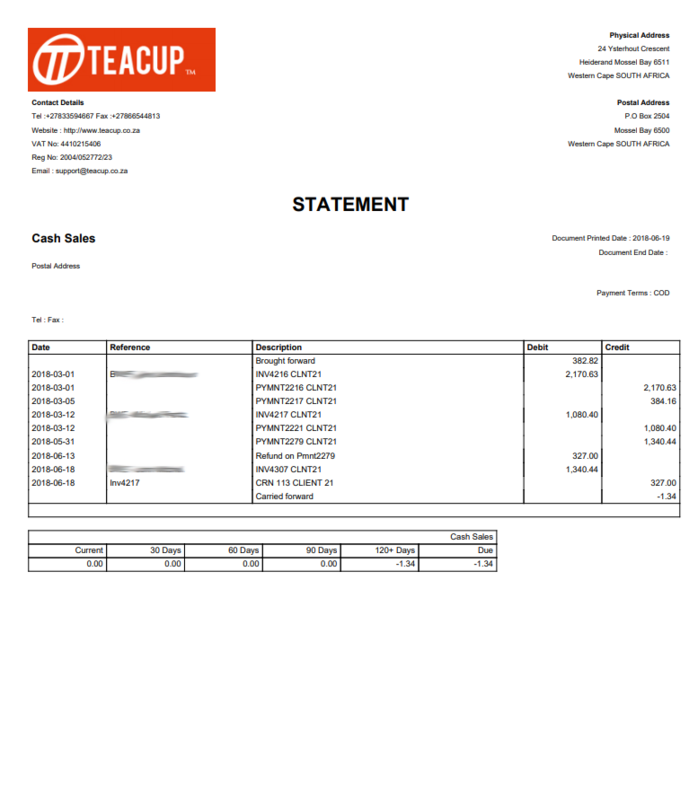 Our clients complete their bookkeeping easily with Teacup Accounting. You can too! 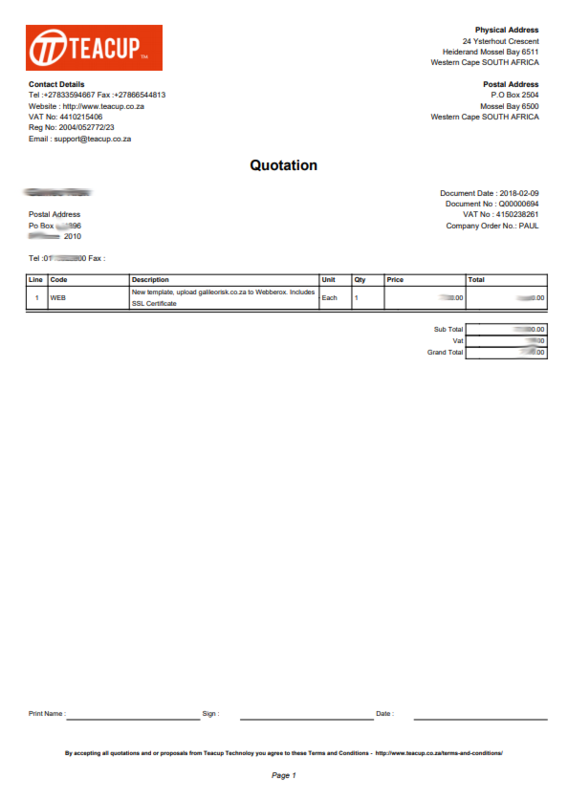 Create quotations quickly and easily with your company logo, ready to be emailed to your clients. 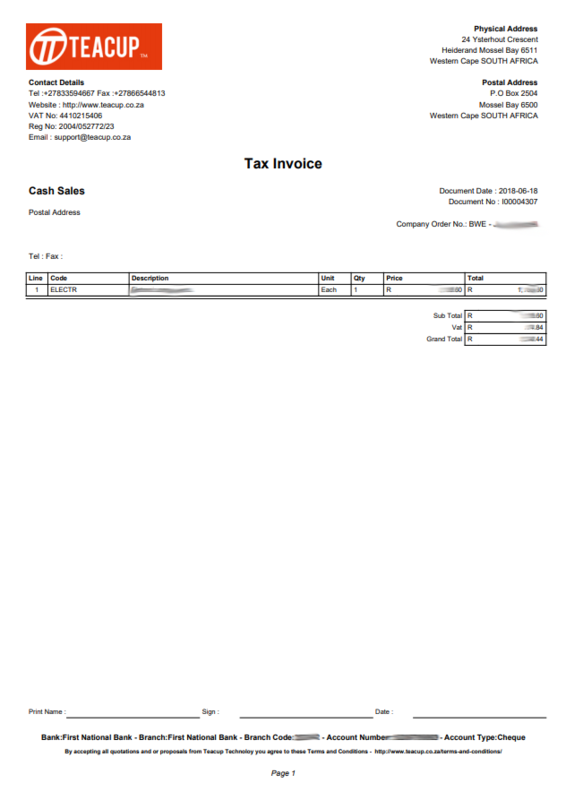 Convert your quotations to invoices or insert invoices manually. 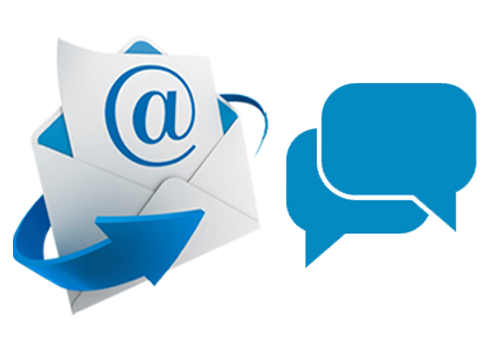 Invoices and statements can be emailed directly to your client. 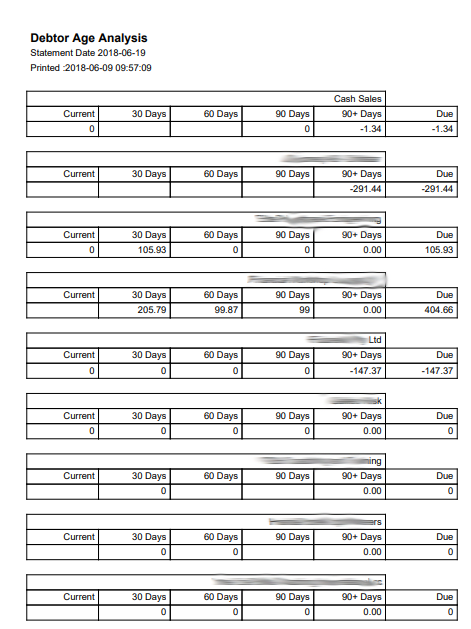 You can also record payments from your clients and print an Age Analysis. 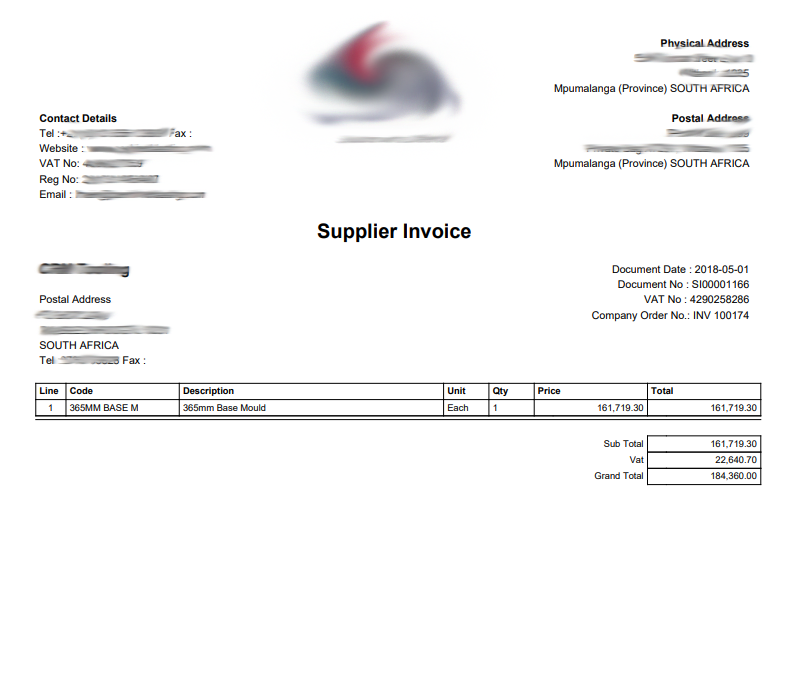 Insert supplier invoices manually. 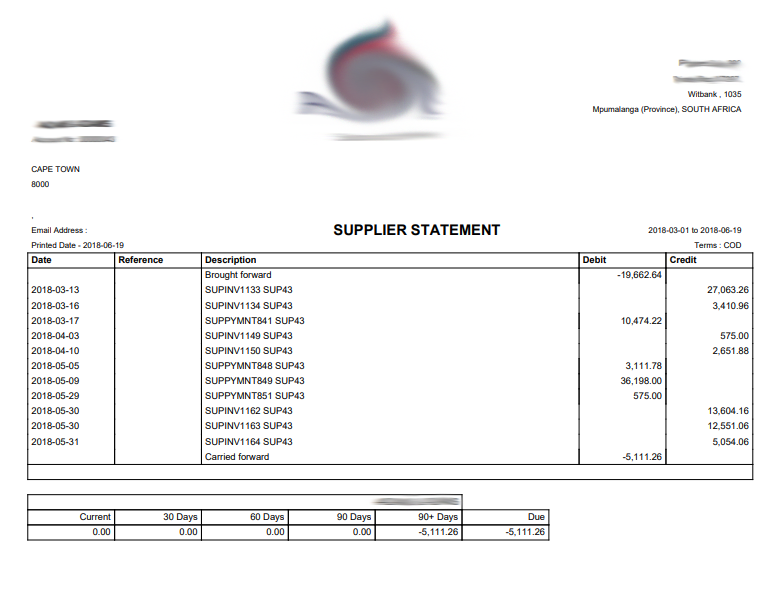 Supplier Invoices and statements can be emailed directly to your supplier. 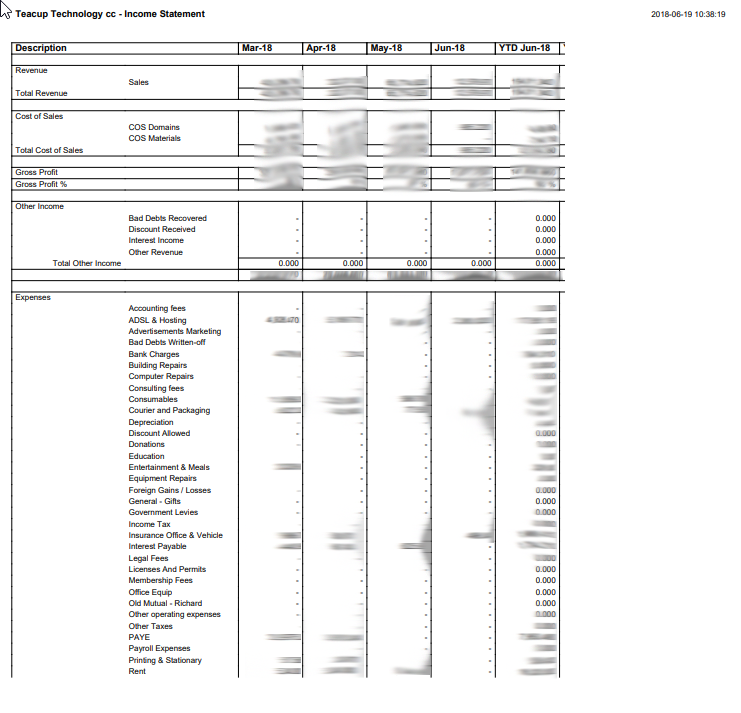 You can also record payments to your suppliers and print an Age Analysis. 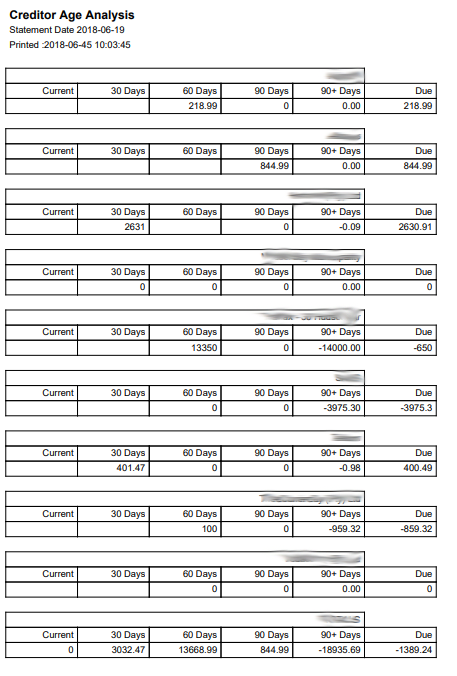 Record your expenses quickly and easily. 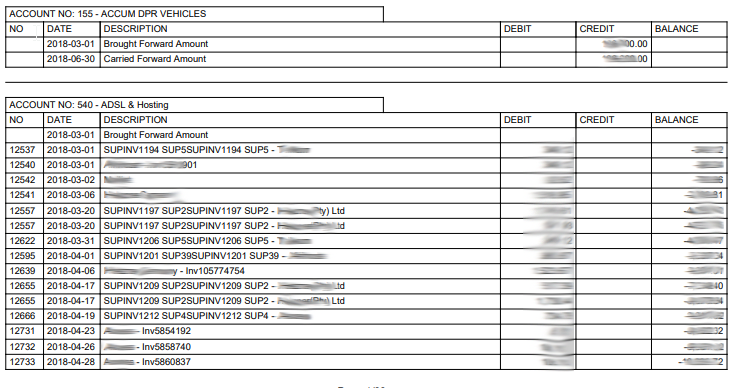 You will have access to print Income statements, VAT reports, Bank reconciliations and Transaction reports. Grant and deny access to users and groups. Dont spend time waiting, use an accounting package that is fast and online. You can setup easy quick access groups. After this you can assign users to one or more groups. The groups can be setup with read, write, add, delete access levels to any section of the system. 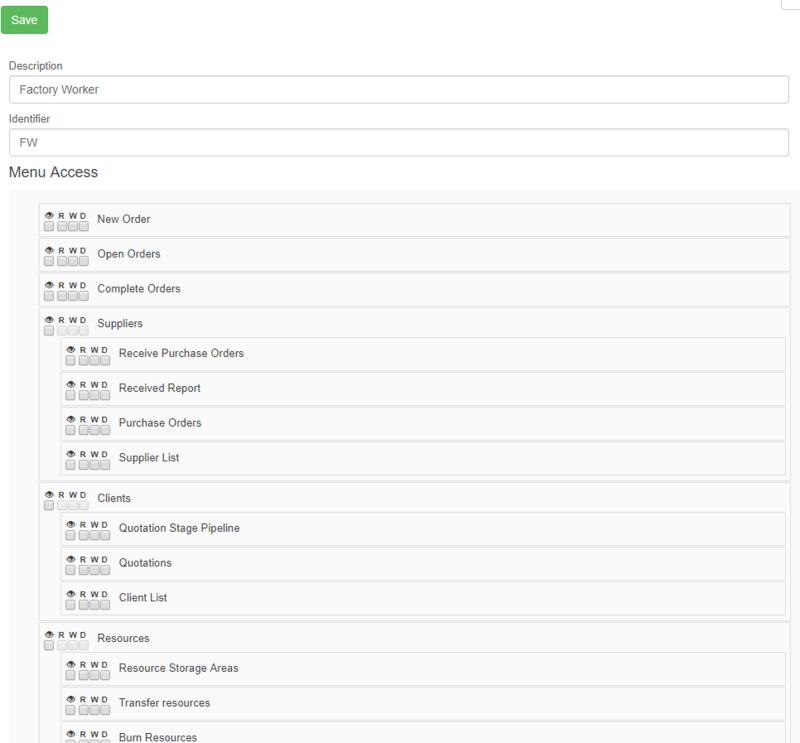 You also have access to your staff's system activity log. Our friendly staff will assist you in the set-up of your Accounting Software and will be on hand for any queries regarding the system.